• The Painted Hall in Greenwich’s Old Royal Naval College reopens on Saturday following a two-year, £8.5 million restoration project. The hall, known as the UK’s “Sistine Chapel”, was designed by Sir Christopher Wren as a ceremonial dining room for what was then the Royal Hospital for Seamen. Completed in 1705, its 4,000 square metre interior features a decorative scheme painted by Sir James Thornhill, the first British artist to be knighted, which took 19 years to complete. The paintings celebrate English naval power as well as the then newly installed Protestant monarchy with joint monarchs King William III and Queen Mary II as well as Queen Anne and King George I all represented in the artworks along with hundreds of other mythological, allegorical, historical and contemporary figures. The restoration project has also seen the King William Undercroft, located underneath the hall, converted into a new cafe, shop and interpretation gallery. 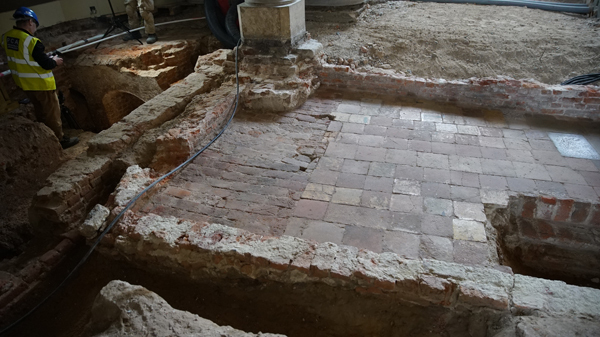 Two cellar rooms from King Henry VIII’s palace – which once stood on the site – were discovered during the restoration works and are also now on public display. Other new touches include the return of a series of carved oak benches to the hall (having been introduced when it was used as an art gallery in the 19th century they were removed 100 years ago), two ‘treasure chests’ containing objects related to the ceiling artworks which can be handled, and new tour options – not just of the hall and undercroft but of the entire Old Royal Naval College site. There’s a host of special activities over the opening weekend, including a parade and official opening ceremony from 9.30am, the chance to meet historical characters, music, food stalls, kids activities and more. Admission charge applies. For more, see www.ornc.org. 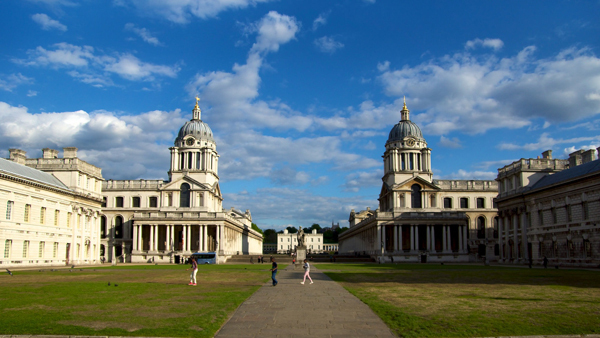 PICTURED: The Old Royal Naval College, home of the Painted Hall. • The V&A has announced it is extending its sell-out Christian Dior: Designer of Dreams exhibition due to unprecedented demand. The exhibition at the South Kensington museum, which had originally been scheduled to close on 14th July, will now run until 1st September with new tickets made available on 15th of each month (there’s also a limited number of tickets available to purchase daily at 10am from the V&A’s Grand Entrance on a first-come, first-served basis; V&A members, of course, attend free-of-charge with no need to book). The exhibition, which initially sold out of its five month run with 19 days of opening, is the most comprehensive exhibition ever staged in the UK on the House of Dior and the museum’s biggest fashion exhibition since Alexander McQueen: Savage Beauty in 2015. For more, see vam.ac.uk. • On Now: Merchant Navy Treasures: An Introduction to the Newall Dunn Collection. This display at the City of London’s Guildhall Library delves into the Newall Dunn Collection, one of the world’s most comprehensive photographic and reference collections on merchant shipping, and showcases the achievements of shipping historian Peter Newall and artist and writer Laurence Dunn. Alongside images, press releases and newspaper cuttings, on show are company brochures, menus and other items from the ocean liners and cargo vessels of three famous lines from the golden age of shipping: the Cunard, Orient and Union-Castle. Admission is free. Runs until 24th May. For more, follow this link. • Previously unseen portraits of Amy Winehouse and Sir Kenneth Branagh and newly acquired portraits of explorer Sir Rannulph Fiennes, astronaut Tim Peake and British Museum director Neil MacGregor have gone on show at the National Portrait Gallery. The portraits, which also include photographs from the Duke and Duchess of Sussex’s wedding in May this year, form part of a major new display of the gallery’s contemporary collection which features works produced from the year 2000 until today. Sitting alongside the collection is a new exhibition of works by artist Njideka Akunyili Crosby from her series The Beautyful Ones – comprised of portraits of Nigerian youth, including some members of her own family. Admission is free and The Beautyful Ones display can be seen until 3rd February. For more. see www.npg.org.uk. • A recently discovered rare self portrait of Artemisia Gentileschi, the most celebrated female artist of the Italian Baroque, has gone on show at the National Gallery. Self Portrait as Saint Catherine of Alexandria (1615-17), which was acquired by the gallery in July, 2017, can be seen in the Central Hall of the gallery after going through a five month conversation and restoration process which was documented in a series of short films shared on social media via #NGArtemisia. In March, the painting will leave the gallery on a “pop-up” tour of unexpected venues across the UK. A major exhibition of Gentileschi’s work is planned at the National Gallery in 2020. Admission to see the painting is free. For more, see www.nationalgallery.org.uk. The Lord’s Mayor’s Show is coming up soon (10th November) so we thought it a good time to take a quick look at the life of one of the city’s most memorable Lord Mayors – Sir John Lawrence, who served in the office in 1664-65. Sir John, a merchant and member of the Worshipful Company of Haberdashers (and Master of the company in 1677), is remembered for the role he played during the Great Plague of 1665 which preceded the Great Fire of London the following year. Following the arrival of the plaque in London, those with the means took to their heels and left the city for safer climes. But Sir John assured the public that he and the City officers would remain at their posts to keep law and order among the frightened populace. He oversaw the issuing of a series of plague-related orders designed to stem the spread of disease and appointed people to oversee and attend to the needs of households affected by the disease and search out the bodies to be taken away as well as doctors to tend to the sick and help prevent infection. His efforts in ensuring the food supply remained steady have been particularly praised as has his opening of his own home in St Helen’s Bishopsgate to those servants who were discharged when the households in which they worked fled the city. His tenure as mayor is often favourably contrasted with that of his successor, Sir Thomas Bludworth but Sir John also had numerous other positions during his lifetime, including as president of St Thomas’ Hospital, a committee member of the East India Company and a Fellow of the Royal Society. Sir John was married and had two children. 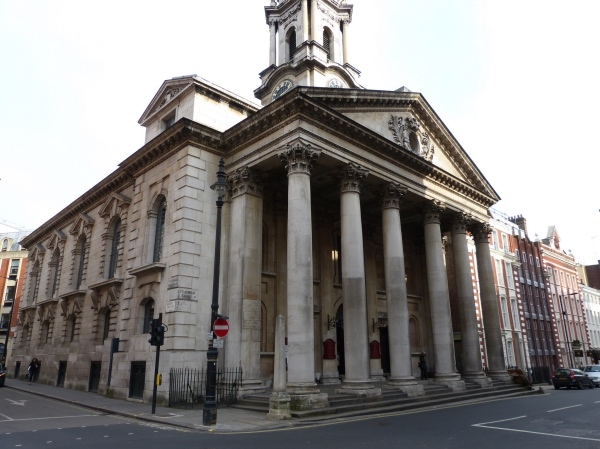 He died on 26th January, 1692, and was buried at the Church of St Helen’s Bishopsgate. He is remembered on a plaque at Bunhill Fields for being mayor when, at the City’s expense, the burial ground was enclosed with a wall. PICTURE: Part of the inscription at the gates of Bunhill Fields commemorating Sir John’s role in enclosing the burial ground. (Edwardx; licensed under CC BY-SA 3.0). This grand mansion, which once stood on the south side of Soho Square (then called King’s Square), was built for James Scott, the Duke of Monmouth (and ill-fated illegitimate son of King Charles II) in the early 1680s during the early development of the square. The duke only lived in the property briefly before he headed off to the Netherlands (and was later, in 1685, was executed on Tower Hill for his failed rebellion against the king). The three storey brick house stood around three sides of a courtyard (some suggest it was designed by Sir Christopher Wren). The house, which was left unfinished, stood empty for some time after the duke’s death before, in 1689, part of it was briefly turned into a chapel for Huguenot refugees, known as the L’Église du Quarré (they located in 1694). The house was sold by the Duchess of Monmouth to Sir James Bateman, Lord Mayor of London and a Sub-Governor of the South Sea Company, in 1716, and subsequently remodelled, apparently to the designs of architect Thomas Archer. Bateman died in 1718 and his eldest son, William (later 1st Viscount Bateman), lived here until 1739. The property was late let to a succession of dignitaries – including the French and Russian ambassadors – and briefly was under consideration for use as a boy’s school. 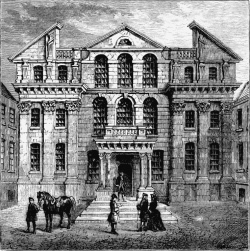 It was eventually demolished in 1773 and Bateman’s Buildings now occupy the site. A plaque identifies the site as the former location of the mansion. PICTURE: An 18th century engraving of Monmouth House. 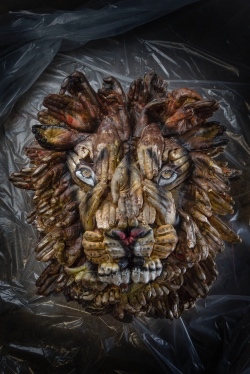 • A landmark exhibition which reunites one of the most extraordinary art collections ever assembled opens in the main galleries of the Royal Academy of Arts in Piccadilly this Saturday. 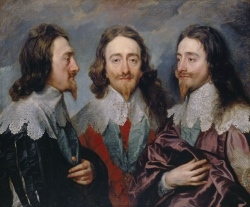 Presented in partnership with the Royal Collection Trust, Charles I: King and Collector features about 150 of the most important of the works collected by King Charles I during his reign, spanning the period from 1600 to 1649. They are among 1,500 paintings and 500 sculptures he collected prior to his execution in 1649, after which the collection was offered for sale and dispersed across Europe. Many of the works were retrieved by King Charles II during the Restoration but others now form the core of collections at institutions such as the Musée du Louvre and the Museo Nacional del Prado. Among those on show in this exhibition, which includes more than 90 works borrowed from the Royal Collection, are several monumental portraits of the king and his family by Anthony van Dyck as well as the artist’s most celebrated portrait of the king, Charles I (‘Le Roi a la chasse’) (pictured), which returns to England for the first time since the 17th century. Other works include Peter Paul Rubens’ Minerva Protects Pax From Mars (‘Peace and War’) – this was commissioned by Charles and painted between 1629-30, Andrea Mantegna’s series, The Triumph of Caesar (c1484-92), and Titian’s Supper at Emmaus (c1530) while artists including Correggio, Tintoretto, Paolo Veronese, Albrecht Durer, Hans Holbein the Younger and Pieter Bruegel the Elder are also represented. The exhibition also shows off the celebrated Mortlake tapestries depicting Raphael’s Acts of the Apostles (c1631-40) and paintings, statuettes, miniatures and drawings once kept in the Cabinet at Whitehall Palace. Runs until 15th April. Admission charge applies. For more, see www.royalacademy.org.uk. • John Constable’s oil sketch, Salisbury Cathedral from the Meadows, 1829–31, is one of 10 works which have gone on display at the Guildhall Art Gallery as part of its Victorian Landscapes exhibition. The painting takes centre-stage in the display in the gallery’s Temple Room; other works on show include John Brett’s Echoes of a Far-Off Storm (1890); Edward William Cooke’s Triassic Cliffs, Blue Anchor, North Somerset (1866), and Benjamin Williams Leader’s The Church at Betwys-y-Coed (1863). The paintings can be seen until early May. For more, follow this link. • Eighteenth century satire portrayed on ceramics and prints is the subject of a new free display at the British Museum. Pots with Attitude: British Satire on Ceramics, 1760-1830 features some 80 objects, some of which have not been on show for decades, including mugs and jugs (which make up the bulk of the items on show) as well as items like a cotton handkerchief printed with the “Peterloo Massacre” of 1819 and a rather grisly folding fan showing hidden profiles of executed French sovereigns (1794). Other objects show off copies of prints by satirists such as James Gillray and Charles Williams, with one of the latter’s showing a colossal Napoleon about to cross the Channel into England but prevented from doing so by a pint-sized, sword-carrying John Bull, who has sliced off his toes and is telling him, ‘Paws off, Pompey’ – the comment a reference to a lap-dog known as Pompey the Little who was the hero of a popular novel at the time. The display can be seen in Room 90a, Prints and Drawings Gallery, until 13th March. For more, see www.britishmuseum.org. 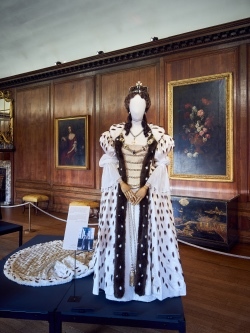 • A new exhibition celebrating the role of the court of King Charles II in promoting the arts in England has opened at The Queen’s Gallery in Buckingham Palace. Charles II: Art and Power highlights the key role Charles II played in developing the Royal Collection following the Restoration in 1660 as a means of decorating royal apartments and, perhaps more importantly, of glorifying the restored monarchy and helping it to take its place back on the European stage. 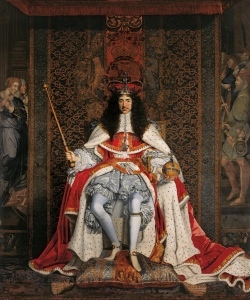 The display features works ranging from John Michael Wright’s monumental portrait of the king in coronation robes (pictured) to Henry Greenway’s silver-gilt dish that adorned the high altar of Westminster Abbey and Wenceslaus Hollar’s The Coronation of King Charles the II in Westminster Abby the 23 of April 1661. Other paintings on show include Titian’s Madonna and Child in a Landscape with Tobias and the Angel (c1535-40), Antonio Verrio’s The Sea Triumph of Charles II (c1674), Pieter Brugel the Elder’s The Massacre of the Innocents (c1565-67), and Sir Peter Lely’s Barbara Villiers, Duchess of Cleveland (c 1665) as well as tapestries and silver-gilt furnishings. The exhibition, which will be accompanied by a major exhibition in the Royal Academy of Arts in January and a series of documentaries on various BBC channels under the banner of a BBC Royal Collection Season, runs until 13th May. Admission charge applies. For more, see www.royalcollection.org.uk. PICTURE: John Michael Wright, Charles II, c.1676 Royal Collection Trust/© Her Majesty Queen Elizabeth II 2017. 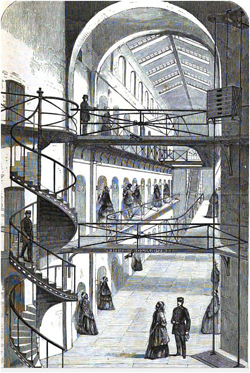 • The lives of convicts in 18th and 19th century London are the subject of a new exhibition opening at the London Metropolitan Archives. Criminal Lives, 1780-1925: Punishing Old Bailey Convicts includes original documents from the Old Bailey archives and items such as a policeman’s truncheon, a reproduction Millbank Prison uniform and convicts’ photographs drawn from collections in Britain and Australia to provide insights into the lives of offenders, from the time of the Gordan Riots in 1760 to the early 20th century. Among those whose lives are featured are prostitute and pickpocket Charlotte Walker, notorious receiver of stolen goods Ikey Solomons and serial thief Thomas Limpus. The exhibition, created in collaboration with the Arts and Humanities Research Council Digital Panopticon Project, opens on Monday and runs until 16th May. Admission is free. There is an accompanying programme of events. For more, see www.cityoflondon.gov.uk/lma. • The National Gallery is running a season of events aimed at exploring the theme of ‘gold’ in its collection in the run-up to Christmas. Running until 1st January, the programme includes free lunchtime talks, a life drawing session this Friday, a workshop on the traditional intaglio printmaking technique of drypoint, drawing sessions and a series of films. For the full season of events, check out www.nationalgallery.org.uk/whats-on/christmas-at-the-gallery/christmas-events. The moniker of this Soho street owes its origins to the Greek Orthodox Church – London’s first – which was built in the area following an influx of Greeks in the 17th century. 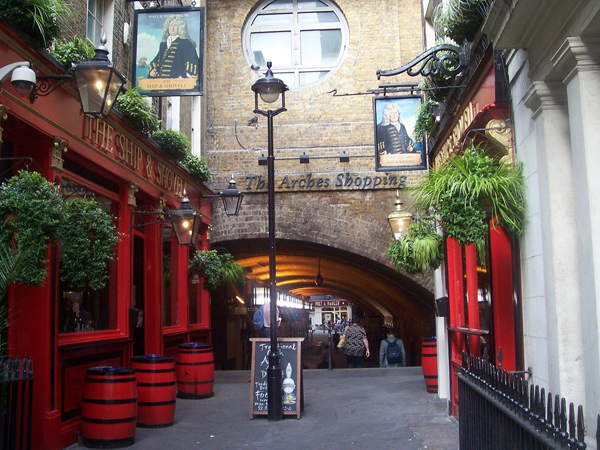 The street was laid out in the 1670-80s and along with taverns, coffee houses and tradesmen’s workshops, also had some aristocratic tenants such as the 5th Earl of Anglesey. Casanova stayed in the street when visiting in 1764 and writer Thomas de Quincey, author of Confessions of an Opium-Eater, also lodged here temporarily. Other tenants have included Josiah Wedgwood who had a warehouse and showrooms here from 1774 to 1797. Number 1, the House of St Barnabas, was once the home of twice Lord Mayor of London, William Beckford, and also the location where Sir Joseph Bazalgette commenced work on designing the city’s famed sewer system (it was then the offices of the Westminster Commissioners Sewers). It’s now a private members club. The church, meanwhile, was soon taken over by the French Protestants who came into the area and eventually demolished in 1936. A remnant of the church, an inscription which was once embedded in the wall of the church, was salvaged and apparently taken to the Greek Orthodox Cathedral of St Sophia in Bayswater. Current premises based in the street include pubs like the Pillars of Hercules (number 7) and Coach and Horses (number 29) as well as establishments such as The Gay Hussar restaurant (number 2) and French patisserie Maison Bertaux (number 28). 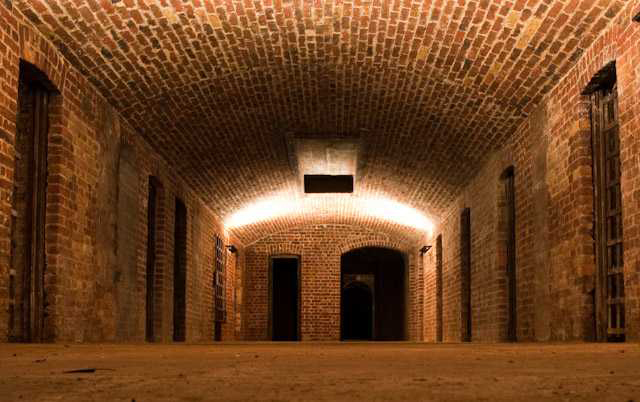 A highlight of any journey through subterranean London is spending some time in the St Paul’s Cathedral crypt, famously the resting place of, among others, Admiral Lord Nelson and Arthur Wellesley, the Duke of Wellington. 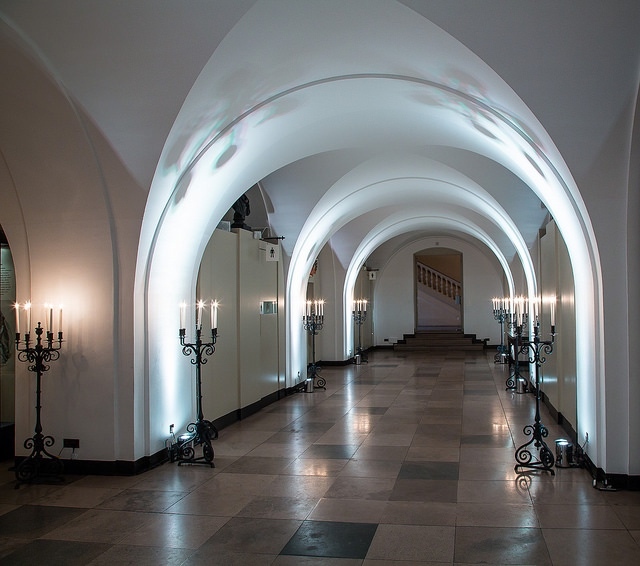 Built as an integral part of Sir Christopher Wren’s masterpiece, the crypt is said to be the largest in Europe and runs the complete length of the building above. It features some 200 memorials. 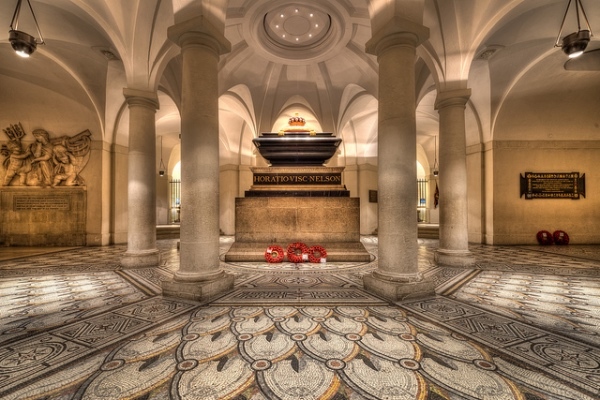 Nelson’s resting place is under the centre of the dome – his remains, brought back from the 1805 Battle of Trafalgar in a keg of naval brandy, are entombed inside a wooden coffin made from one of the French ships he defeated at the Battle of the Nile which is then contained in a black sarcophagus. Originally made for Cardinal Wolsey in the 1520s but left unused when the Cardinal fell from favour, it’s now topped with Nelson’s viscount coronet in place of where the cardinal’s hat would have stood. The Duke of Wellington, meanwhile, lies just to the east in a tomb of Cornish porphyritic granite set atop a block of Peterhead granite carved with four sleeping lions at its four corners. The coffin was lowered through a specially created hole in the cathedral floor above Nelson’s tomb and then moved into the sarcophagus. 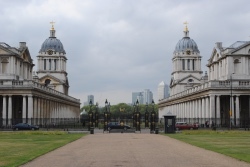 Other memorials – not all of which commemorate people actually buried here – include one to the architect, Sir Christopher Wren, which features the words, written in Latin, ‘Reader, if you seek his monument, look around you’. There’s also memorials to everyone from artist Sir Joshua Reynolds and William Blake to Crimean War nurse Florence Nightingale, architect Sir Edwin Lutyens, Lawrence of Arabia and, more recently, one for Gordon Hamilton Fairley, killed by a terrorist bomb in 1975. There’s even a bust of the first US President, George Washington. The crypt also contains a number of war memorials and is the location of the OBE Chapel, dedicated at a service attended by Queen Elizabeth II in 1960, honouring those who have given distinguished service to the nation. Other features of the crypt include the Treasury where more than 200 items are on display including some of the cathedral’s plate and vestments (much of which has been lost over the years including when a major robbery took place in 1810), liturgical plate from other churches in the diocese and some Wren memorabilia including his penknife, measuring rod and death mask. The crypt is also home to the cathedral’s gift shop and cafe where you can stop for a refreshment before heading back out into the streets above. WHERE: The Crypt, St Paul’s Cathedral, City of London (nearest Tube stations are St Paul’s and Mansion House); WHEN: 8.30am to 4.30pm Monday to Saturday; COST: £18 adults (18+)/£8 children (aged 6 to 17)/£16 concessions/£44 family ticket; WEBSITE: www.stpauls.co.uk. 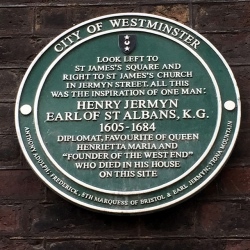 Seventeenth century politician, diplomat and royal courtier, Henry Jermyn’s influence can still be seen in London’s West End today. Jermyn was born as the fourth, but second surviving, son of courtier Sir Thomas Jermyn, of Rushbrook, Suffolk, and his wife Catherine, in early 1605. He was baptised soon after at St Margaret’s Lothbury in London in late March of that year. Having already been among several diplomatic missions, he entered the political world at about the age of 20 in 1625, when he was elected member for Bodmin in Cornwall – the first of several seats he (and his brother Thomas) would hold around the country. He joined the household of Queen Henrietta Maria, wife of King Charles I, in 1627, becoming her vice-chamberlain in 1628, and Master of the Horse to the Queen in 1639 (although he apparently spent a couple of years in exile in France during this period when he refused to obey the King and marry another courtier). An ardent royalist, in 1641, he participated in a plot against Parliament and was forced to flee to France. In 1642, he joined the Queen in The Hague and returned to England with her in 1643 as the Civil War raged. His loyalty was rewarded on 6th September that year when he was raised to the peerage as Baron Jermyn of St Edmundsbury (he was apparently wounded just 10 days later at the Battle of Aldbourne Chase). He was made the Queen’s Lord Chamberlain in early 1644 and in April that year accompanied the Queen to France where he helped her raise money for the Royalist cause. He was made Governor of Jersey in 1645 (a post in which he succeeded his father), although it was a role he apparently had little interest in, at one point proposing selling the island to France. In 1649, it was apparently Jermyn who had to give the Queen the news of King Charles I’s execution. Her closest advisor, it was subsequently falsely rumoured that he had secretly married the Queen – some even went so far to suggest he had fathered her children. Jermyn became a member of King Charles II’s Privy Council in 1652 and, in 1659, just before the Restoration, he was created the Earl of St Albans. Created ambassador to France in 1661, he would go on to play a key role in helping King Charles II negotiate the secret 1670 Treaty of Dover with the French King Louis XIV. In the early 1660s he was rewarded with land grants including land located to the north of St James’s Palace in London. 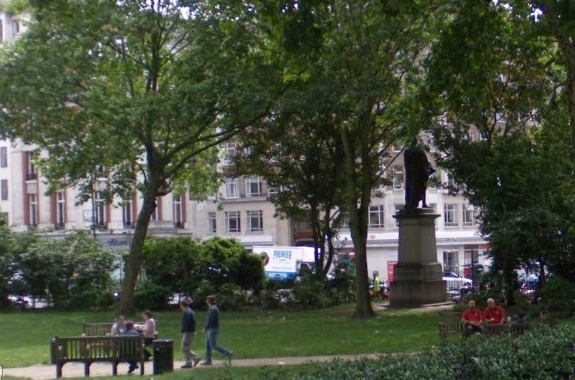 He encouraged the development of the area, centred on St James’s Square and surrounding streets including Jermyn Street – such was his impact on the area that he became known as the “Father of the West End”. He returned to France with Queen Henrietta Maria in 1665 and was present when the Queen died on 31st August, 1669, at Colombe in France. He subsequently returned to England and served as Lord Chamberlain to King Charles II between 1672-74 as well as, in 1672, being invested as a Knight of the Garter. Jermyn, who never married, was generally said to have been a prolific gambler (and, some said, a glutton) and while he attempted to retire more than once to Rushbrook, the lure of London’s gaming tables proved too strong. He died in his house in St James’s Square on 2nd January, 1684, and was buried at Rushbrook. While his earldom became extinct, his barony passed to his nephew Thomas Jermyn. 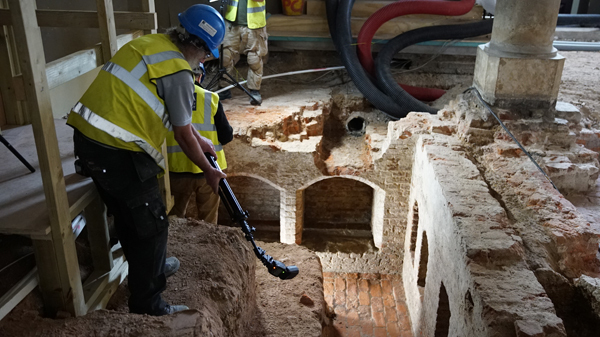 The remains of two rooms, which once formed part of the splendid Greenwich Palace – birthplace of King Henry VIII and his daughters Queen Mary I and Queen Elizabeth I, were discovered during works being undertaken ahead of the construction of a new visitor centre under the Old Royal Naval College’s famed Painted Hall, it was revealed last week. The rooms, set well back from the river Thames, are believed to have formed part of the service range, believed to be the location of kitchens, a bakehouse, brewhouse and laundry. 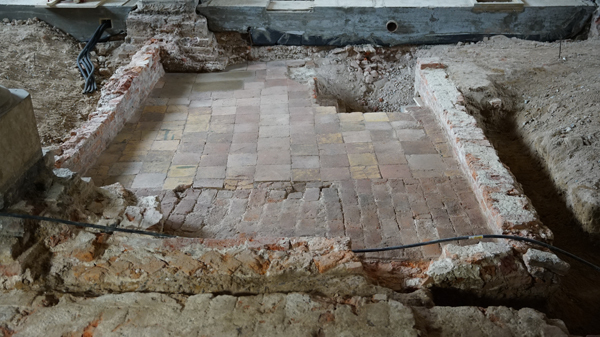 As well as the discovery of a lead-glazed tiled floor, one of the rooms, which was clearly subterranean, featured a series of unusual niches where archaeologists believe may have been ‘bee boles’ – where ‘skeps’ (hive baskets) were stored during winter when the bee colonies were hibernating and where, when the bees were outside during summer, food and drink may have been stored to keep cool. Discussions are reportedly now underway over the possibility of displaying the Tudor finds in situ. 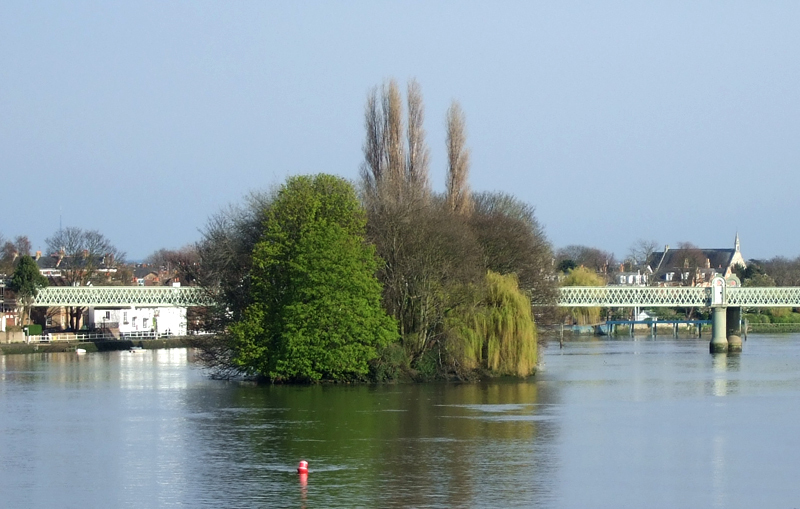 Duncan Wilson, chief executive of Historic England, hailed the find as “remarkable”. Greenwich Palace was built by King Henry V’s brother, Humphrey, Duke of Gloucester, in 1426 and rebuilt by King Henry VII between about 1500 and 1506. Substantially demolished at the end of the 17th century (and with plans to build a new Stuart palace on the site never realised), it was replaced with the Greenwich Hospital which became the Royal Naval College designed by Sir Christopher Wren and Nicholas Hawksmoor between 1692 and 1728. 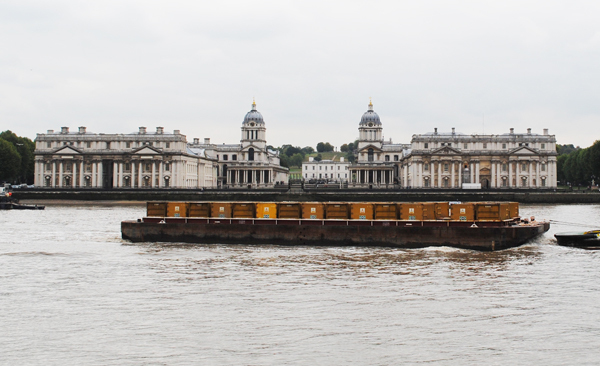 The Painted Hall, located in the Old Royal Naval College, is currently undergoing an 18 month transformation which includes the creation of a new visitor centre, Sackler Gallery and café. Visitors to the hall currently have the unique opportunity to get up close to the famous ceiling of the hall, described as the “Sistine Chapel of the UK”, on special tours. Visit www.ornc.org/painted-hall-ceiling-tours-tickets for more. Once apparently known as Traitor’s Hill, Parliament Hill in Hampstead Heath offers stunning views of the City of London and surrounds. The summit of the hill, the view from which is protected, features a plaque, donated by the Heath and Hampstead Society and installed in 2016, which identifies various London landmarks visible from the site (it updated a similar plaque installed in 1984). Among the landmarks visible from the hill, which lies some six miles from the City in the south-east of the heath, are The Gherkin (St Mary Axe), St Paul’s Cathedral, The London Eye and the Houses of Parliament. The hill’s name is somewhat shrouded in mystery. According to one story, it relates to the fact it was defended during the English Civil War by troops loyal to Parliament (hence first Traitor’s, then Parliament, Hill). Another named-related story, generally deemed to be somewhat dubious, has it as the site where Guy Fawkes and co-conspirator Robert Catesby planned to watch the destruction of Parliament in the Gunpowder Plot of 1605. 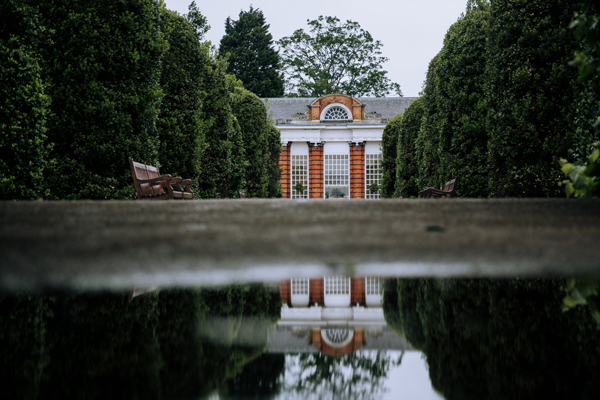 Once part of a manor granted by King Henry I to a local baron, the hill was added to the public open space of Hampstead Heath in the late 1880s although manorial rights to the land persisted until the mid-20th century. The City of London Corporation has managed the hill since 1989. Parliament Hill, these days a popular place for kite flying, is also the site of a short white pillar known as the ‘Stone of Free Speech’, once believed to have been a focal point for religious and political meetings (although its origins, like the hill’s name, are somewhat sketchy). WHERE: Parliament Hill, Hampstead Heath (nearest Tube station is Hampstead/nearest Overground stations are Gospel Oak and Hampstead Heath); WHEN: Always; COST: Free; WEBSITE: www.cityoflondon.gov.uk/things-to-do/green-spaces/hampstead-heath/visitor-information/Pages/Parliament-Hill-Viewpoint.aspx.